BOWRAL - SOUTHERN HIGHLANDS, NSW. Step into the historic Hopewood Residence; the private estate & home of - Janet Storrier, family and friends. 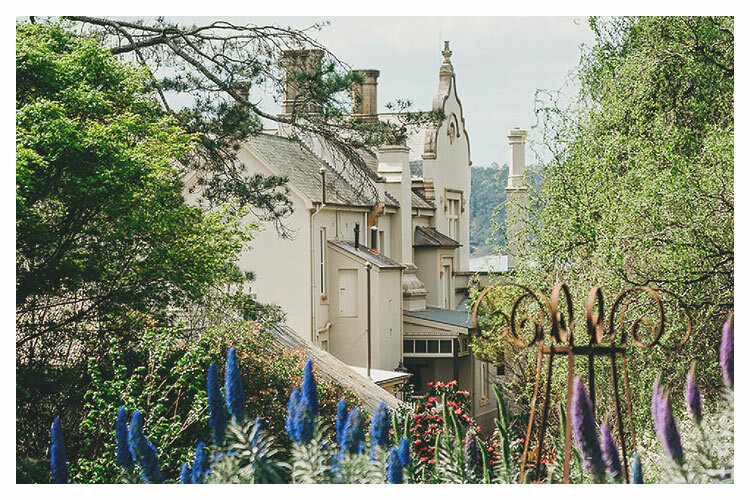 Considered a ‘Grand Estate’ of the Southern Highlands there is an immense history to this property that was first established in 1884 for pastorialist Ben Osborne and his wife Lucy Throsby. Guests: Best suited to small corporate & private events - 25pax. Note: Hopewood is a private residence. Use by discussion & invitation. Set across approx. 11-Acres – Hopewood House’s established grounds & gardens are the picturesque framing for your uniquely memorable and luxurious wedding, corporate function or private event. Between 1912-1929 the second owner of the estate; Lebbeus Horden - Grandson of Anthony Horden (founder of Anthony Horden & Sons – Once the largest department store in the world). Lebbeus expanded the rural activities of the estate, established the first elaborate formal parterre gardens and is suspected to be responsible for the bird themed leadlight windows featured throughout the Residence. Guests: Best suited to intimate through to larger groups - 150 pax. Before a series of grand expansions - the Pavilion building was once the Hopewood Stables. The pavilion is located a short walk through the parterre gardens or by teardrop driveway from the original residence. The former stables now stand as the modern provincial addition to the estate. The Pavilion building offers a variety of flexible spaces that can be used exclusively or in combination. Air-Conditioning is available throughout the top floor of the Pavilion. On the ground floor of the Pavilion you will find the Bong Bong Bar & Lounge. A large open space, mirrored columns, award-winning art, antiques & chandeliers. The Bong Bong Bar & Lounge comfortably and flexibly is able to host a variety of event types - indoor chapel ceremonies, dance floor & bar, corporate functions / celebrations / workshops and all types of private events. The space can be tailored to any colour palette, theme & flowers. On the second level of the Pavilion you will find Hopewood’s premier reception, dining & entertainment spaces – hanging chandeliers & fireplaces. The Grand Dining Room comfortably & flexibly hosts functions through to formal dining events. Dining layout works in either round or long table arrangements. A large open space that can be utilised for almost any event purpose which can be tailored to any colour palette, theme & flowers. Air-Conditioning is available throughout the upstairs of the Pavilion. On the second level of the Pavilion bordering the Grand Dining Room - sits the Terrace Lounge. A view across Austin's Lawn - window frames the Wayfarer. Free-flow between the Grand Dining, Terrace Lounge & Chukka Bar. The Terrace Lounge has been tastefully decorated with Antiques, Art and plush lounging spaces - wander or relax. 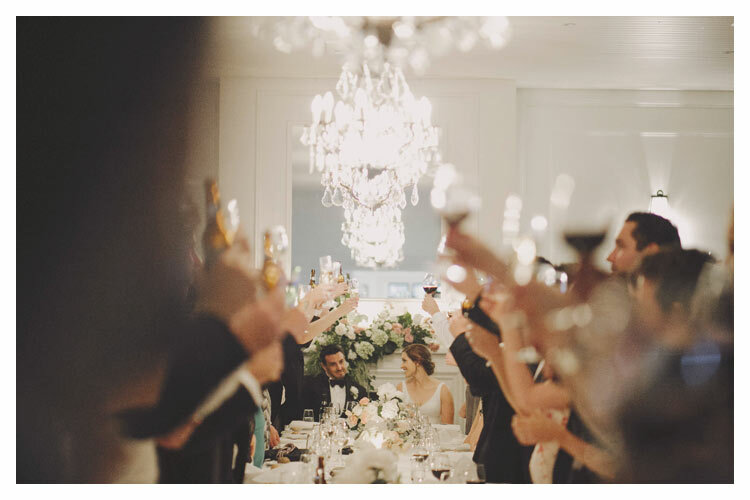 The French provincial space can be tailored to any colour palette, theme & flowers. Air-Conditioning is available throughout the Pavilion building. Corporate/Executive Teams: Board, AGMs, Award Ceremonies, Small Workshops & Team Celebrations. Craft Cocktails & Billiards - No thongs. Sitting on the second level lies the locals water stand - The Chukka Bar - sitdown & laugh - inspired by the great Gentlemen's Clubs of the European. A full-sized Billiards table is availble for guest shoot-outs, with plently of sitting/standing areas. 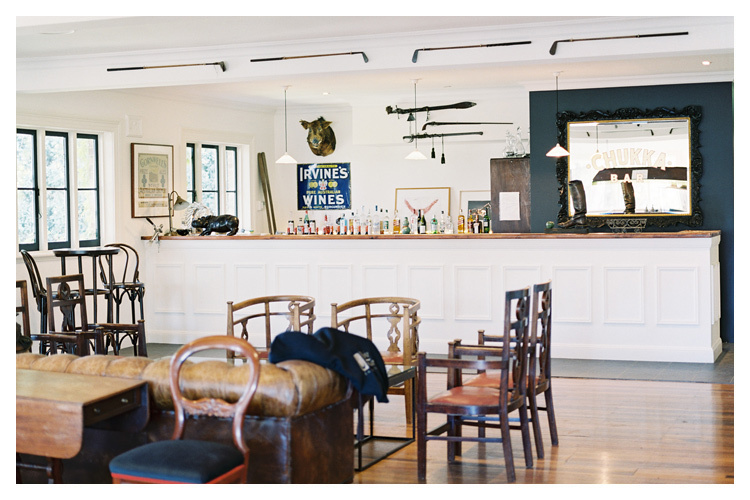 A gentlemen's bar wouldn't be complete without the classic motorcycles, or the walls lined with Machine n' Croquet memorabilia & old bar advertising material decorating from the owners collection. The bar stands equipped to entertain all guests with quality Spirits, Beers, Wines, Champagne, Juices, Softdrinks & Sparkling waters (occasionally Cigars). Free flow between the Grand Dining, Terrace Lounge & Chukka Bar. Note: Hopewood House is fully licensed & supplies all event beverages. Nestled on the left of the first level of the Pavilion, seperated by paths from the downstairs Pavilion Reception & Bong Bong Bar - lies the private Art Gallery. The Gallery is an exclusive space, with original artworks of Tim Storrier. Our most exclusive space - accessibly by special arrangement - original works seen by a select handful. Guests: Best suited to intimate groups - 45 pax. Note: This is the private collection & gallery space of the estate owners. Access to/Hire of the Hopewood Gallery is only available by special arrangement. Fallen in love with Hopewood? the elegantly decorated and self-contained nest of tranquillity - Hopewood's Artist's Cottage. Perfect for a luxurious weekend escape. A beautiful French provincial cottage - Set on 11 acres of beautifully manicured gardens. The cottage is an experience of rare Australian artwork (... like; John or Sidney). The garden boasts unique sculptures; and hidden follies/Ruins. It is truly enchanting and an unparalleled experience. relax on the wicker furniture on a sunny day. and peahens who wander the grounds. Please give them space as they are curious but shy. Janet goes above and beyond to makes every visit personal and unique. Nestled near Austin's Lawn lies the Estate's original Caretakers Cottage - restorations completed in early 2018. The Caretaker's Cottage is the perfect weekend escape. Set on the beautiful, private estate of one of Australia's renowned landscape artists. artwork and rare botanicals the couple have privately collected. This location is ideal for a romantic getaway, girls weekend,team building, bridal party or hens weekend. renovated by the resident artist's wife, Janet, in the style of the main house. It has been decorated with their personal collection of original artwork and furniture. Hopewood is established by one of Australia's most widely known pastorialists - Ben Osborne (1837–1912: fourth son of the late Henry Osborne, Esq., of Marshall Mount, Illawarra.) and his wife Lucy Throsby (1849-1902: seventh daughter of the late Charles Throsby, Esq., of Throsby Park, Bong Bong.) Ben & Lucy married at Christ Church, Bong Bong on the 31st of May, 1866. Their family consisted of seven daughters and five sons. Ben Osborne was considered a kind-hearted & hardworking businessman - at times he drove his cattle across the continent to Adelaide - travelling by compass only. "On Friday evening last a most enjoyable ball was given by Mr. and Mrs. Ben. M. Osborne at their residence, "Hopewood," Bowral. There were about 40 couples present. The residence was tastefully decorated with ferns and flowers for the occasion and had a very pleasing effect. Dancing was commenced at 9 o'clock and continued with much spirit and undoubted pleasure till 11.30 when a stop was made to partake of the delicious refreshments so liberally - provided by the host and hostess, after which dancing was renewed and at about 1 o'clook the proceedings were brought to a close." Lebbeus Horden (1891–1928), the grandson of Anthony Horden - founder of what was once the largest department store in the world - Anthony horden & sons - makes hopewood home. Lebbeus was widely known in sydney as a man of varied interests. Lebbeus was one of the first civilians to fly over Sydney and in his early exploits in the air was associated with M. Guillaux, the French aviator, who taught him to fly. Lebbeus expanded the estates rural activities, established the first elaborate parterre gardens and suspected responsible for the bird themed leadlight windows featured throughout the Residence. Lebbeus also held properties in Darling Point, Sydney - establishing a second 'Hopewood House' in 1924 on Thornton Street - which was replaced in 1966 by the Hopewood Gardens building. Mr S.E. Sibley makes hopewood home - a series of alterations are made to the Residence - Porte Cochere, a two storey verandah to the Residence in classical style and changes to the stables. Mr Sibley also established vegetable gardens and planted thousands of tulips in the gardens. He also constructed for Hopewood in this time a Dairy & Piggery (specialising in Canadian Berkshires). Renovations and expansions are undertaken on the Stables, beginning to take on the shape of the Pavilion today. Celebrations & Music continued with the Darling Point - Edgecliffe Music Club who held their fourth musicale of the third season at Hopewood House at 8:15pm on a Monday in August, 1937. Hopewood, in Bowral, was a unique children's home operated by the Youth Welfare Association of Australia (YWAA), which was founded by Leslie Owen Bailey. Some of the children of Hopewood - refer to themselves as the Hopewood Family - forever connected to the place. As the children reached adulthood Hopewood was closed. Since the early 2000's Hopewood has become well known as one of the Southern Highlands most secret & prestigious venues. Intimate, Romantic, Luxurious & Tailored - Weddings, Corporate Events & Private Events.